In 2004, American Heritage Magazine published an article called "Indispensable Photographs," written by Gail Buckland. In the article she discusses her definition of an indispensable photograph. Her most indispensable photograph is well know to readers of Shades. Those are the photographs that tell us who we are. The formal studio portraits of our great-grandparents, the arrival of our ancestors to this country, our grandparents on their wedding day, your mother's confirmation photograph, your father in uniform, and those snapshots in time of the youthful us or our own children. The second category of indispensable photographs she discusses are those that teach us to see. ". . . it triggers the imagination and makes us appreciate something we might have ignored. It is 'larger' than its subject." Buckland says that indispensible photographs shouldn't be confused with historical photographs such as the joining of the rails at Promontory Point or the Wright brothers' plan lifting off at Kitty Hawk. Images such as these, she says, are "part of our collective historical consciousness and are vitally significant, but their importance is inherent in the subject they depict, not in the manner in which they frame moments in time." Indispensable photographs frame moments in time. Ten indispensable photographs were selected for the article as indispensable American photographs. Shades has selected one of Buckland's photographs and its photographer to discuss today. This is one of those photographs that you must look at, like a train wreck, because you are drawn to it, you must know more. He is a handsome young man who knows how to play to the lens. Who is he? One of the first celebrity photographs? On the night of April 14, 1865, at the exact time John Wilkes Booth stepped into the President’s box at Ford’s Theatre and fired a deadly shot at President Abraham Lincoln, Lewis Payne entered the bed chamber of Secretary of State William H. Seward and began to attack him with a large knife. A few days earlier Seward had been seriously injured in a buggy accident and was wearing a neck brace that blunted the blows and saved his life. Payne, also known as Lewis Powell, was an Alabama native and Confederate veteran. He, Booth, and others also planned to murder Vice President Andrew Johnson and General Ulysses S. Grant that night, in hopes of crippling the federal government, but those attempts never took place. Civil War photographer Alexander Gardner took this photograph of Payne as he was held in federal custody. Gardner photographed Mary Surratt, Lewis Powell, George Atzerodt, David Herold, Michael O'Laughlin, Edman Spangler and Samuel Arnold after they were arrested and charged with conspiring to assassinate Abraham Lincoln. 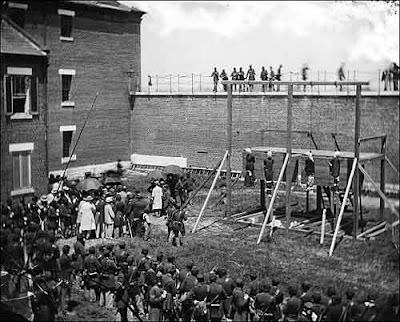 He also took the photograph below of the execution of Surratt, Powell, Atzerodt and Herold who were hanged at Washington Penitentiary on 7th July, 1865. Payne claimed during the court proceedings and to the moment of his death that Mrs. Surratt was innocent and that it had been her coward of a son who was guilty. The court found otherwise. The crime charged and specified upon your record is not simply the crime of murdering a human being, but it is the crime of killing and murdering on the 14th day of April, A. D. 1865, within the military department of Washington and the intrenched lines thereof, Abraham Lincoln, then President of the United States, and commander-in-chief of the army and navy thereof; and then and there assaulting, with intent to kill and murder, William H. Seward, then Secretary of State of the United States ; and then and there lying in wait to kill and murder Andrew Johnson, then Vice President of the United States, and Ulysses S. Grant, then lieutenant general and in command of the armies of the United States, in pursuance of a treasonable conspiracy entered into by the accused with one John Wilkes Booth, and John H. Surratt, upon the instigation of Jefferson Davis, Jacob Thompson, and George N. Sanders and others, with intent thereby to aid the existing rebellion and subvert the Constitution and laws of the United States. 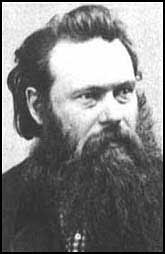 Alexander Gardner, the son of James and Jean Gardner, was born 17 October 1821 in Paisley, Renfew, Scotland. 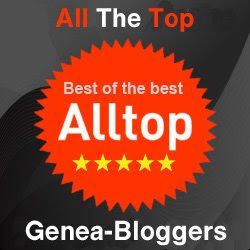 His mother’s maiden name was Glenn, an Ayrshire family of good standing, many of its members being well-to-do farmers, eminent ministers, and prominent physicians. The family moved to Glasgow, where his father soon died, and the education of the family fell to his mother. Alexander was a ready scholar, and soon became proficient in astronomy, botany, chemistry and photography. When he was fourteen he was apprenticed to a jeweler, in Glasgow, and served him faithfully for seven years. As a young man Gardner became interested in the socialist ideas being advocated by Robert Owen. Gardner helped establish the Clydesdale Joint Stock Agricultural & Commercial Company. The plan was to raise funds and to acquire land in the United States. In 1850 Gardner, his brother James Gardner, and seven others traveled to the United States. He purchased land and established a cooperative community close to Monona, in Clayton County, Iowa. Gardner returned to Scotland to help raise more money and to recruit new members. Leaving his trade, he used some of his funds to purchase the newspaper, “The Glasgow Sentinel,” where he was an editor. In May, 1851, Gardner visited the Great Exhibition in Hyde Park, where he saw the photographs of Matthew Brady. Soon Gardner’s love of chemistry led him to experiment with photography, in which, as an amateur, he was quite proficient, and subsequently adopted it as a profession. Gardner decided to emigrate to the United States in the spring of 1856. He took with him his mother, his wife, Margaret Gardner, and their two children. When he arrived at the Clydesdale colony, he discovered that several members were suffering from tuberculosis. His sister, Jessie Sinclair, had died from the disease and her husband soon followed. Gardner decided to abandon the Clydesdale community and settle his family in New York. He found employment as a photographer with the man whose work he had admired, Matthew Brady. Gardner was an expert in the new collodion (wet-plate process) that was rapidly displacing the daguerreotype. Gardner specialized in making what became known as Imperial photographs. These large prints (17 by 20 inches) were very popular and Brady was able to sell them for between $50 and $750, depending on the amount of retouching with india ink that was required. In the 1850s Brady's eyesight began to deteriorate and he began to rely heavily on Gardner to run the business. 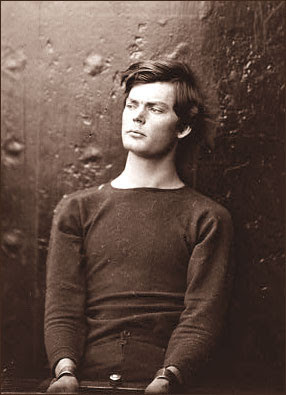 In February, 1858, Gardner was put in charge of Brady's gallery in Washington, D.C. He quickly developed a reputation as an outstanding portrait photographer. On the outbreak of the Civil War there was a dramatic increase in the demand for Gardner's work. Soldiers going off to war wanted to be photographed in uniform. In July, 1861 Matthew Brady and Alfred Waud, an artist working for Harper's Weekly, traveled to the front-line and witnessed Bull Run, the first major battle of the war. The battle was a disaster for the Union Army and Brady came close to being captured by the enemy. Soon after arriving back from the front Matthew Brady decided to make a photographic record of the Civil War. 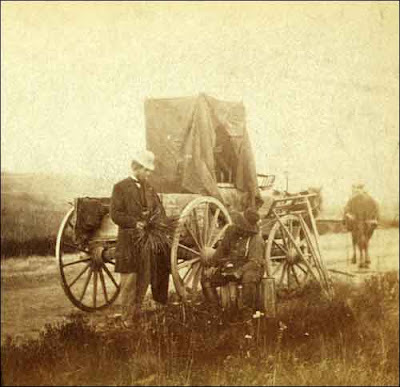 He sent Gardner, James Gardner, Timothy O'Sullivan, William Pywell, George Barnard, and eighteen other men to travel throughout the country taking photographs of the war. Each one had his own traveling darkroom so that that collodion plates could be processed on the spot. This included Gardner's famous President Lincoln on the Battlefield of Antietam and Home of a Rebel Sharpshooter (1863). A portable darkroom in the wagon. holding his camera lens. Man at left is holding a plant. Gardner was appointed to the staff of General George McClellan, the commander of the Army of the Potomac in November, 1861. Granted the honorary rank of captain, Gardner photographed the battles of Antietam (September, 1862), Fredericksburg (December, 1862), Gettysburg (July, 1863) and the siege of Petersburg (June, 1864-April, 1865). In 1863 Gardner opened his own studio in Washington, D.C., and began marketing prints in competition with Brady. This included taking photographs of convicted criminals for the Washington police force. He also published a two-volume collection of 100 photographs from the Civil War, Gardner's Photographic Sketchbook of the War (1866). In 1867 Gardner became the official photographer of the Union Pacific Railroad. As well as documenting the building of the railroad in Kansas, Gardner also photographed Native Americans living in the area. Alexander Gardner died 10 December 1882, between five and six o'clock, at his residence, No. 1112 Virginia Ave. SW, Washington, D.C. of complications from diabetes. Gardner, Alexander, photographer. “[Washington Navy Yard, District of Columbia. Lewis Payne in sweater, seated and manacled]” Photograph. Washington, D.C. : Library of Congress, 1865. From Library of Congress: Selected Civil War Photographs, 1861-1865. (accessed September 9, 2008). Gardner, Alexander, photographer. “[Washington, D.C. Hanging hooded bodies of the four conspirators; crowd departing]” Photograph. Washington, D.C. : Library of Congress, 7 July 1865. From Library of Congress: Selected Civil War Photographs, 1861-1865. (accessed September 9, 2008). Gardner, Alexander, photographer unknown. Spartacus Educational. (accessed September 9, 2008). Gardner, Alexander, photographer. “[A rare specimen found on hill above Fort Riley, Kansas, 420 miles west of St. Louis, Mo. ]” Stereograph. Washington, D.C. : Library of Congress, 1867. From Library of Congress: Selected Civil War Photographs, 1861-1865. (accessed September 9, 2008). A eulogy on the life and character of Alexander Gardner, / delivered at a stated communication of Lebanon Lodge, no. 7, F.A.A.M., January 19, 1883; by Joseph M. Wilson, Washington, D.C. : Library of Congress, 1883. (accessed September 9, 2008). Very interesting, thanks for posting this. Anything Abraham Lincoln/Civil War fascinates me...so most of the Civil War photographs credited to Matthew Brady probably weren't actually taken by Matthew Brady...very interesting indeed! A fascinating biography. Can you imagine the world of photography in that era? From a traveling darkroom to a camera-enabled cell phone... what a society we are.